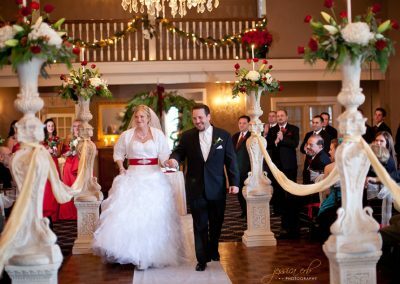 From the walk down the aisle to the exchange of vows, David’s Country Inn provides a beautiful backdrop to your wedding ceremony. 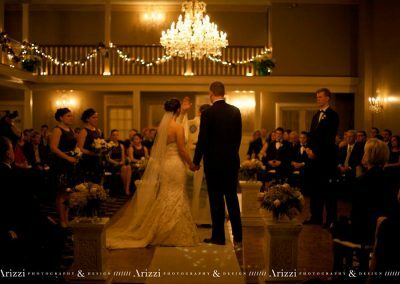 We are here to make this special moment everything you’ve imagined and a memory you will treasure forever. 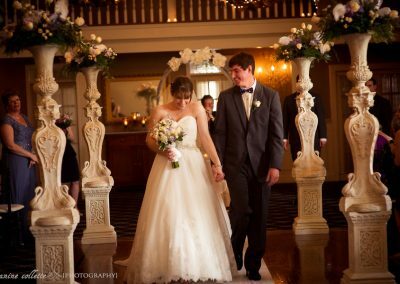 David’s Country Inn is pleased to host only one wedding a day, ensuring complete privacy for you and your guests. 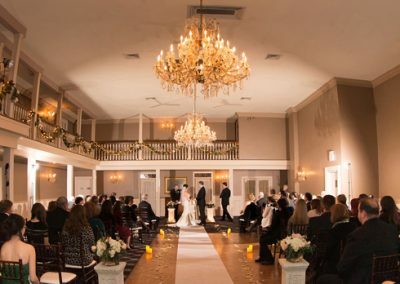 Your wedding ceremony can be held in our dramatic double-high ballroom featuring a stunning art deco stained glass ceiling. 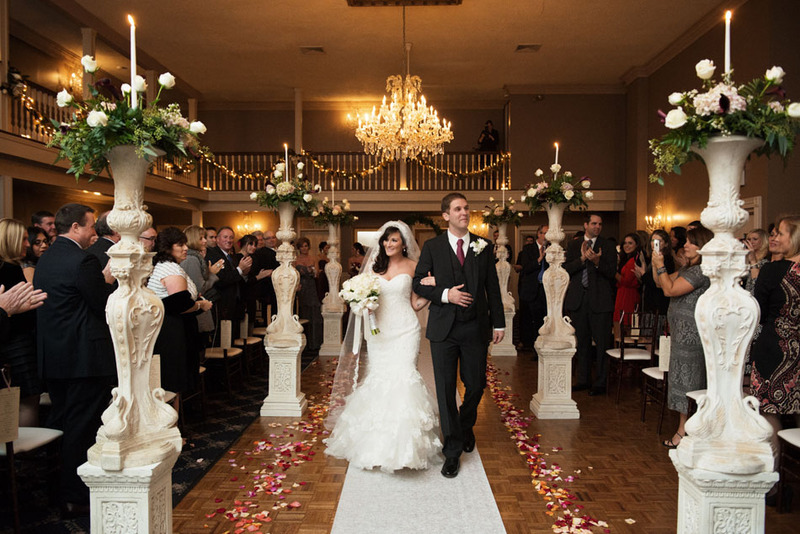 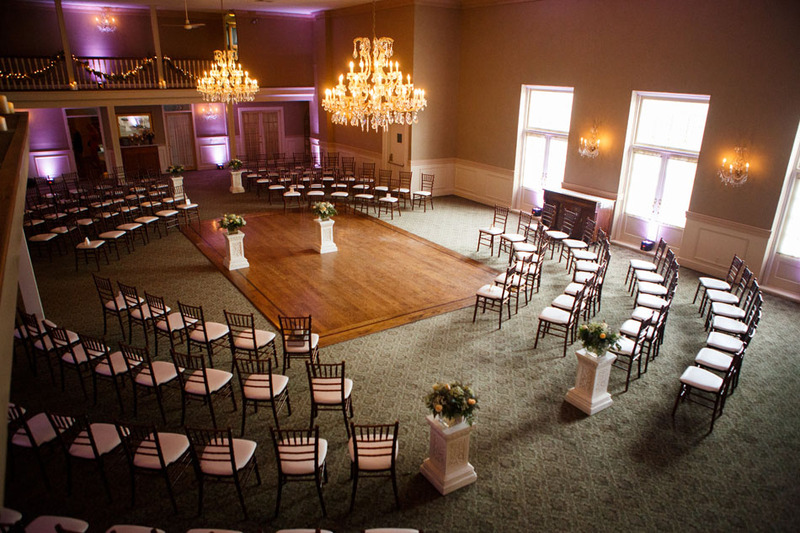 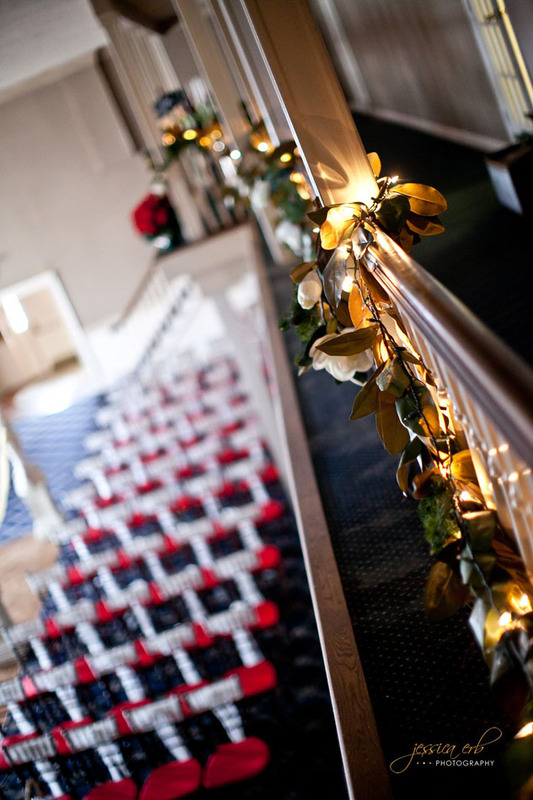 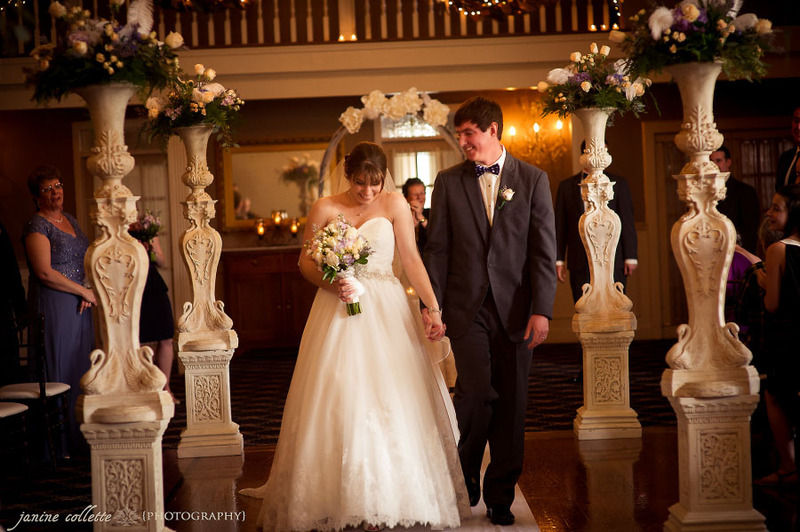 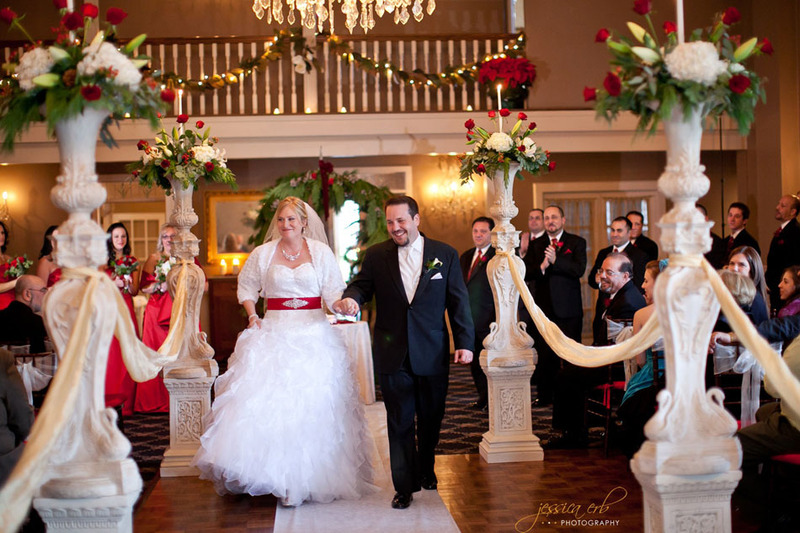 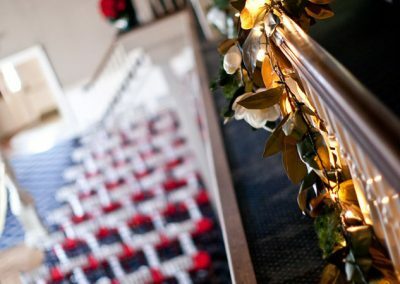 The wedding party can make their entrance by walking along the elegant second floor gallery. 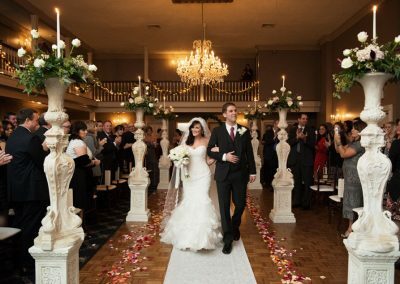 Couples can choose to have the wedding aisle lined with ornamental pillars and custom designed flower arrangements creating an atmosphere of sheer romance. 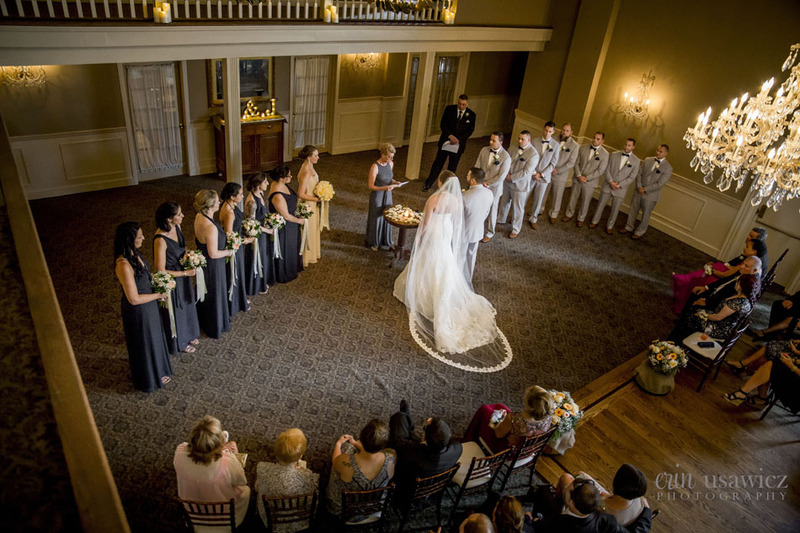 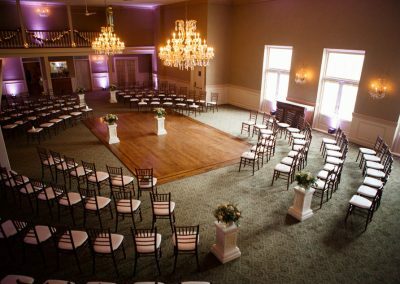 The timeless elegance of our Victorian mansion is the perfect setting for your exchange of vows. Whether time-honored traditional or uniquely unconventional, our experienced staff can help bring your vision to life and create the ceremony of your dreams.